The "Palaeolithic" also known as "The Old Stone Age"
This immense span of time covers at least two ice ages during which few, if any, humans lived in what is now southern Britain. During the intervening warmer periods, bands of nomadic hunters passed through our area leaving behind some of their stone tools, such as the Acheulian handaxe found at Kingsley. At around 300,000 years ago there is evidence for the presence of Neanderthals in the general area as remains of their characteristic stone tools have been found just to the north in the river terrace gravels at Farnham. By about 30,000 years ago the first modern humans enter southern Britain, crossing from France at a time when the English Channel was still dry land. Their more sophisticated stone toolkit included flint arrowheads, scrapers, burins, blades and many other types of specialist impliment, examples of which have been found just north of our area. The period was one of extreme cold with the glaciers reaching their maximum extent at around 12,000 years ago when the Whitehill / Bordon area was just south of the main ice sheets. Pollen samples taken locally show that the vegetation was similar to northern Finland today with a covering of dwarf bilberry, dwarf birch and various grasses. 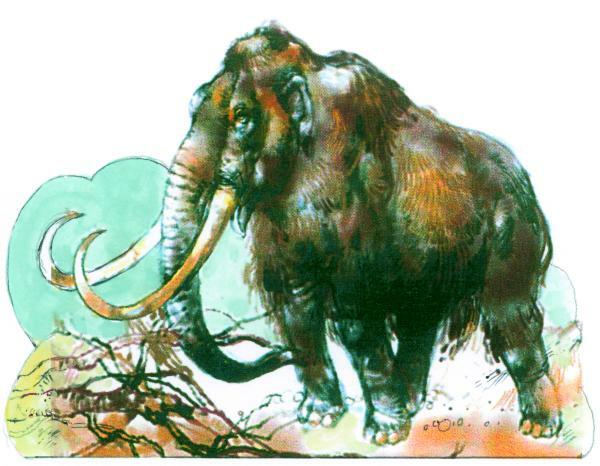 Finds of the bones, tusks and teeth of woolly mammoths, woolly rhinos and musk ox are surprisingly common from local gravel pits, particularly those along the river Wey around Farnham. Recent (2006) scientific evidence regarding mitochondrial DNA sequences from ancient and modern Europe has shown a distinct pattern for the different time periods sampled in the course of the study. Despite some limitations regarding sample sizes, the results were found to be non-random. As such, the results indicate that, in addition to populations in Europe expanding from southern refugia after the last glacial maximum (especially the Franco-Cantabrian region), evidence also exists for various northern refugia. There is evidence from bones and flint tools found in coastal deposits near Happisburgh in Norfolk and Pakefield in Suffolk that a species of Homo was present in what is now Britain at least 814,000 years ago. At this time, Southern and Eastern Britain were linked to continental Europe by a wide land bridge allowing humans to move freely. The current position of the English Channel was a large river flowing westwards and fed by tributaries that later became the Thames and Seine. Reconstructing this ancient environment has provided clues to the route first visitors took to arrive at what was then a peninsula of the Eurasian continent. Archaeologists have found a string of early sites located close to the route of a now lost watercourse named the Bytham River which indicate that it was exploited as the earliest route west into Britain. The extreme cold of the following Anglian Stage is likely to have driven humans out of Britain altogether and the region does not appear to have been occupied again until the ice receded during the Hoxnian Stage. This warmer time period lasted from around 424,000 until 374,000 years ago and saw the Clactonian flint tool industry develop at sites such as Swanscombe in Kent. The period had produced a rich and widespread distribution of sites by Palaeolithic standards, although uncertainty over the relationship between the Clactonian and Acheulean industries is still unresolved. This period saw also Levallois flint tools introduced, possibly by humans arriving from Africa. However, finds from Swanscombe and Botany Pit in Purfleet support Levallois technology being a European rather than African introduction. The more advanced flint technology permitted more efficient hunting and therefore made Britain a more worthwhile place to remain until the following period of cooling known as the Wolstonian Stage, 352,000 - 130,000 years ago. Britain first became an island about 350,000 years ago. Early Neanderthal remains discovered at the Pontnewydd Cave in Wales have been dated to 230,000 BP, and are the most north westerly Neanderthal remains found anywhere in the world. From c.180,000 to c.60,000 there is no evidence of human occupation in Britain, probably due to inhospitable cold in some periods, Britain being cut off as an island in others, and the neighbouring areas of north-west Europe being unoccupied by hominims at times when Britain was both accessible and hospitable. This period is often divided into three subperiods: the Early Upper Palaeolithic (before the main glacial period), the Middle Upper Palaeolithic (the main glacial period) and the Late Upper Palaeolithic (after the main glacial period). There was limited Neanderthal occupation of Britain in MIS3 between about 60,000 and 42,000 years BP. Britain had its own unique variety of late Neanderthal handaxe, the bout-coupe, so seasonal migration between Britain and the continent is unlikely, but the main occupation may have been in the now submerged area of Doggerland, with summer migrations to Britain in warmer periods. The earliest evidence for modern humans in North West Europe is a jawbone discovered in England at Kents Cavern in 1927, which was re-dated in 2011 to between 41,000 and 44,000 years old. The most famous example from this period is the burial of the "Red Lady of Paviland" (actually now known to be a man) in modern day coastal South Wales, which in 1823 was the first human fossil ever discovered anywhere in the world, and was re-dated in 2009 to 33,000 years old. The distribution of finds shows that humans in this period preferred the uplands of Wales and northern and western England to the flatter areas of eastern England. Their stone tools are similar to those of the same age found in Belgium and far north-east France, and very different from those in north-west France. At a time when Britain was not an island, hunter gatherers may have followed migrating herds of reindeer from Belgium and north-east France across the giant Channel River. The climatic deterioration which culminated in the Last Glacial Maximum, between about 26,500 and 19,000 - 20,000 years ago, drove humans out of Britain, and there is no evidence of occupation for around 18,000 years after c.33,000 years BP. Sites such as Cathole Cave in Swansea County dated at 14,500BP, Creswell Crags in Nottinghamshire at 12,800BP and Gough's Cave in Somerset 12,000 years BP, provide evidence suggesting that humans returned to Britain towards the end of this ice age during a warm period from 14,700 to 12,900 years BP ago (the Bolling-Allerod interstadial known as the Windermere Interstadial in Britain), although further extremes of cold right before the final thaw may have caused them to leave again and then return repeatedly. The environment during this ice age period would have been a largely treeless tundra, eventually replaced by a gradually warmer climate, perhaps reaching 17 degrees Celsius (62.6 Fahrenheit) in summer, encouraging the expansion of birch trees as well as shrub and grasses. The first distinct culture of the Upper Palaeolithic in Britain is what archaeologists call the Creswellian industry, with leaf-shaped points probably used as arrowheads. It produced more refined flint tools but also made use of bone, antler, shell, amber, animal teeth, and mammoth ivory. These were fashioned into tools but also jewellery and rods of uncertain purpose. Flint seems to have been brought into areas with limited local resources; the stone tools found in the caves of Devon, such as Kent's Cavern, seem to have been sourced from Salisbury Plain, 100 miles (161 km) east. This is interpreted as meaning that the early inhabitants of Britain were highly mobile, roaming over wide distances and carrying 'toolkits' of flint blades with them rather than heavy, unworked flint nodules, or else improvising tools extemporaneously. The possibility that groups also travelled to meet and exchange goods or sent out dedicated expeditions to source flint has also been suggested. The dominant food species were equines (Equus ferus) and Red Deer (Cervus elaphus), although other mammals ranging from hares to mammoth were also hunted, including rhino and hyena. From the limited evidence available, burial seemed to involve skinning and dismembering a corpse with the bones placed in caves. This suggests a practice of excarnation and secondary burial, and possibly some form of ritual cannibalism. Artistic expression seems to have been mostly limited to engraved bone, although the cave art at Creswell Crags and Mendip caves are notable exceptions. From 12,700 to 11,500 years ago the climate became cooler and dryer, in what is known as the Younger Dryas period. Food animal populations seem to have declined, although woodland coverage expanded. Tool manufacture in the Final Upper Palaeolithic revolved around smaller flints, but bone and antler work became less common. 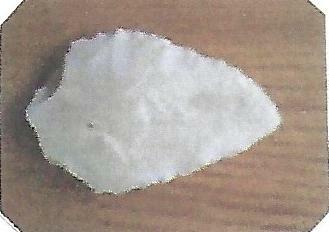 Typically there are parallel-sided flint blades known as "Cheddar Points". There are scrapers, some of which are annoted with what may be calendars. However, the number of known sites is much larger than before and more widely spread. Many more open air sites are known, such as that at Hengistbury Head.